A little help from G-d, friends, and family– I belong to a quilt group called “Quilters of the night kitchen.” We challenged ourselves to exchange a baggie of scraps and use them in a quilt. This was my interpretation. I love them all and I added the hand holding the last block (on the bottom right) to emphasize how I need everyone for their support. 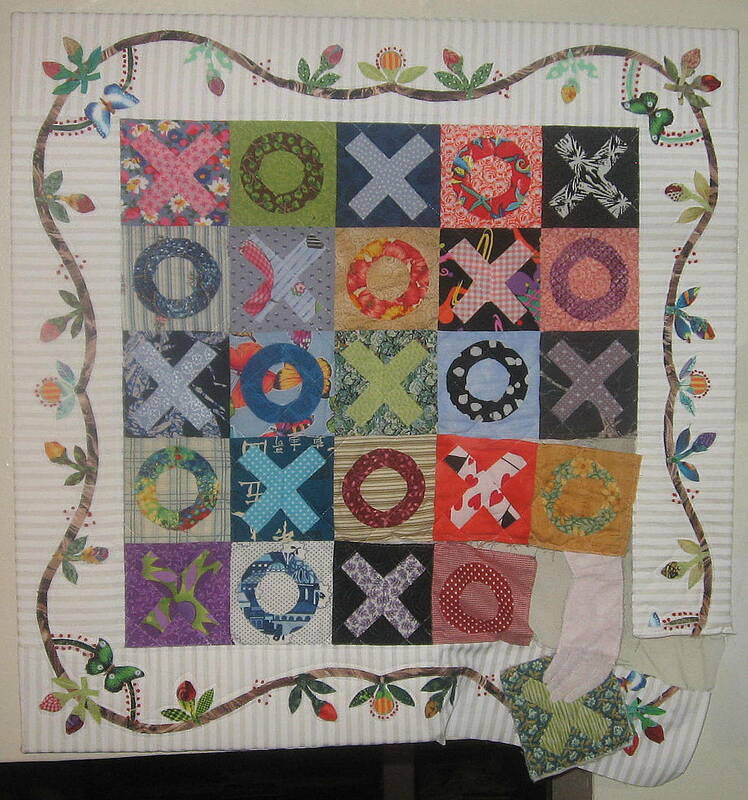 This quilt is not bound, but is on stretcher bars, it is quilted, however.